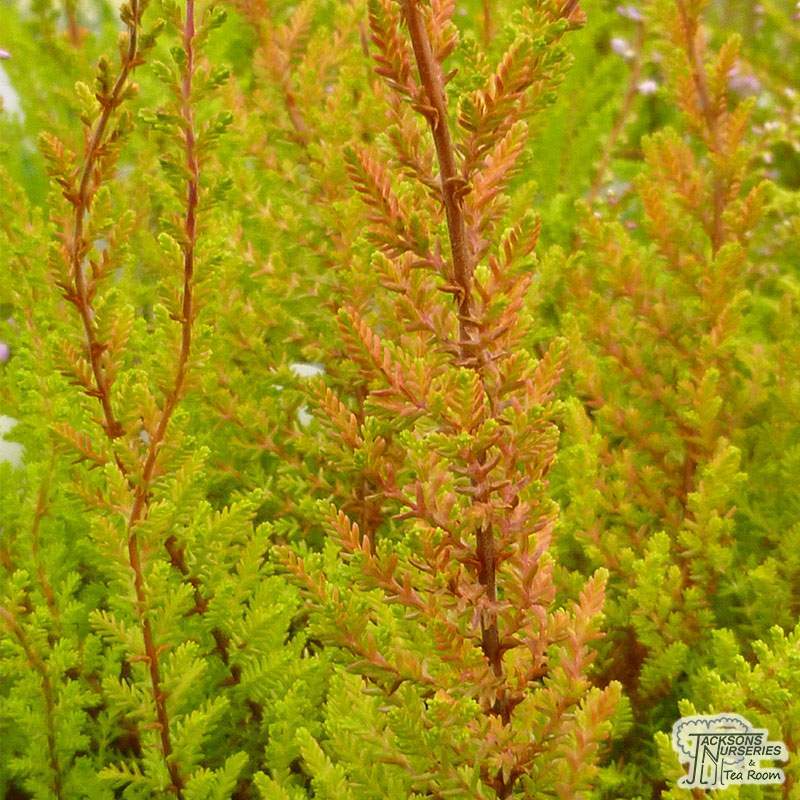 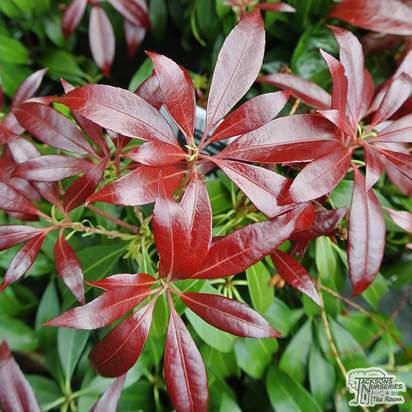 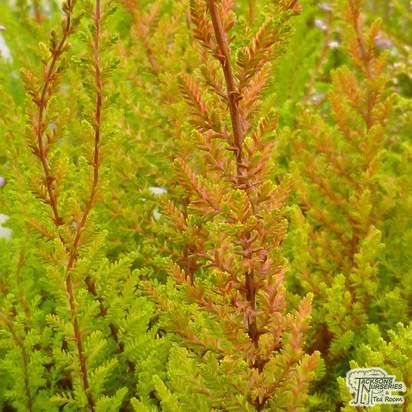 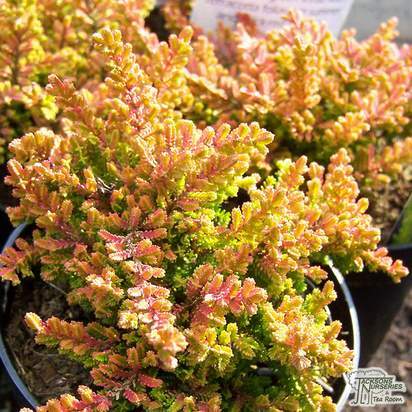 This is a vibrant, evergreen cottage-garden variety with bright yellow spring new growth, turning to mint-green as it matures and taking on spectacular shaded of fiery, orangey-red during the winter. 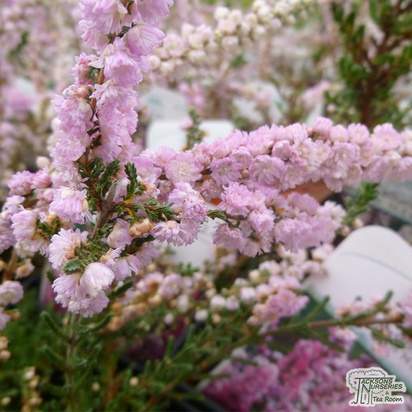 The dramatic foliage is accompanied by long clusters of showy, urn-shaped, pastel lavender-pink blooms which are produced in abundance from July to October. 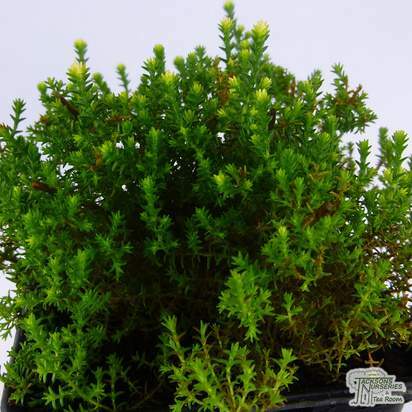 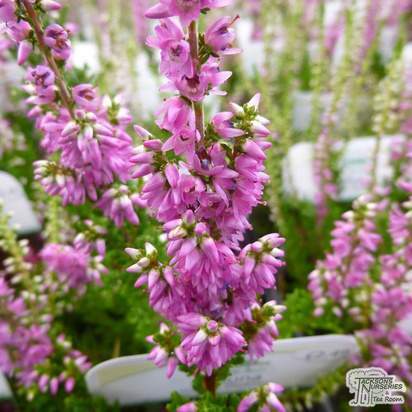 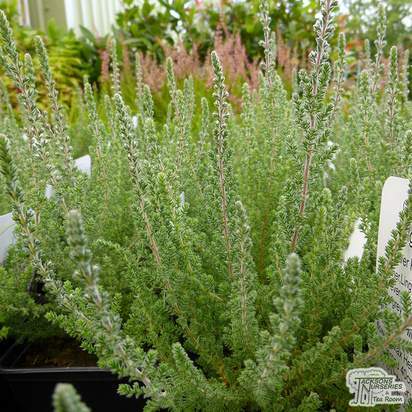 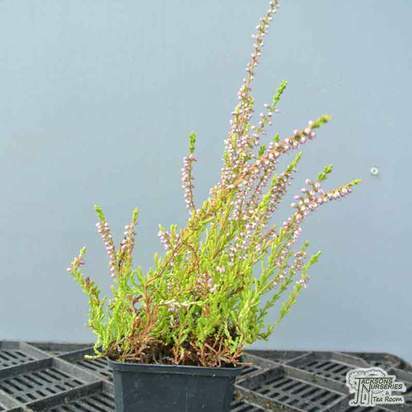 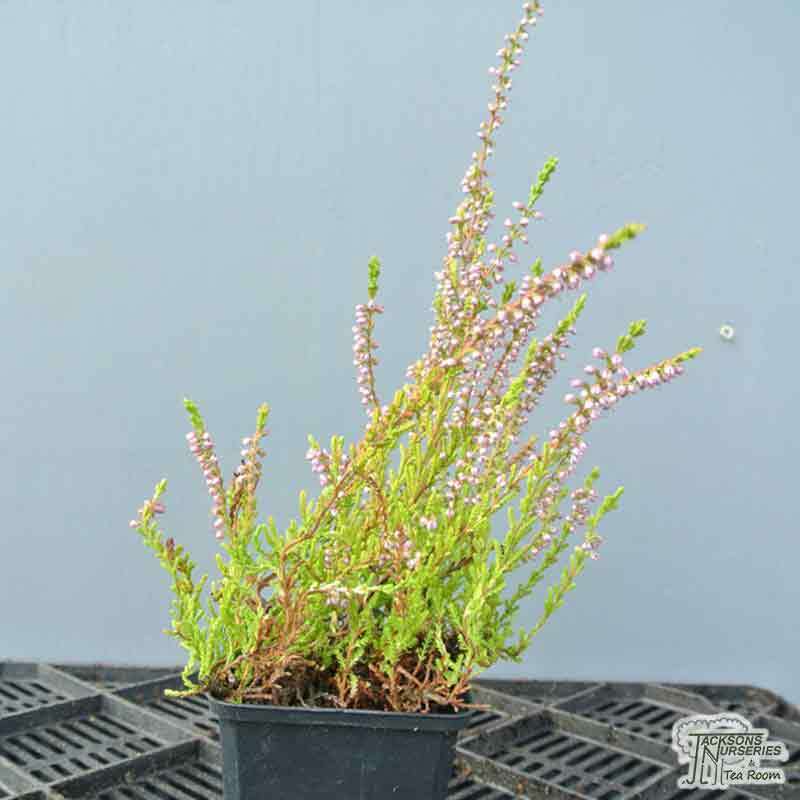 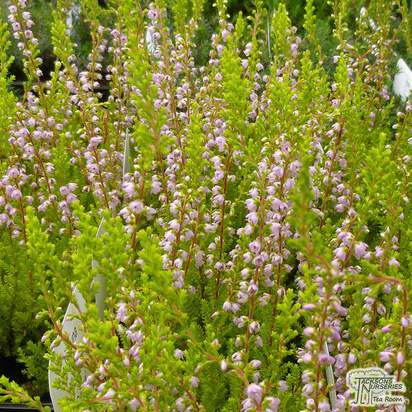 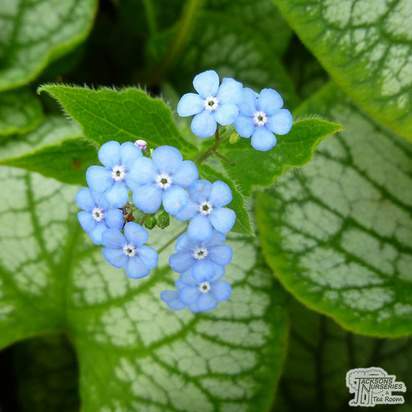 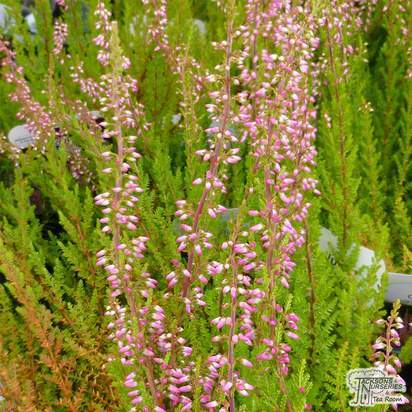 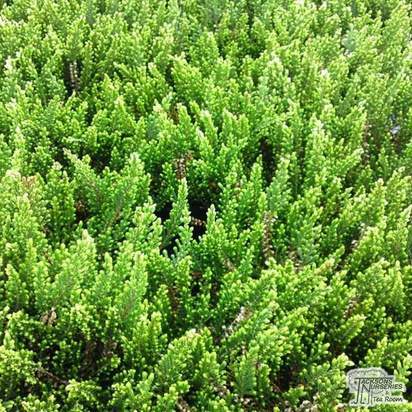 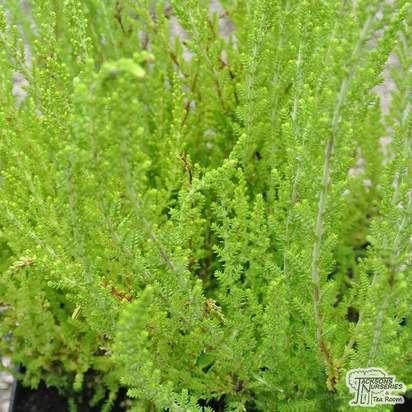 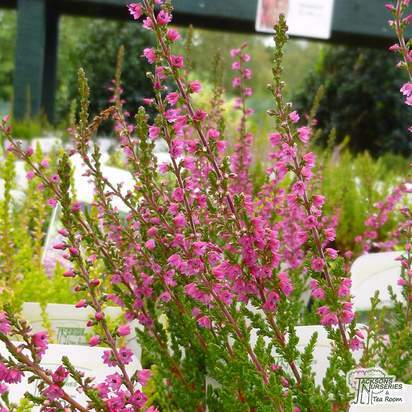 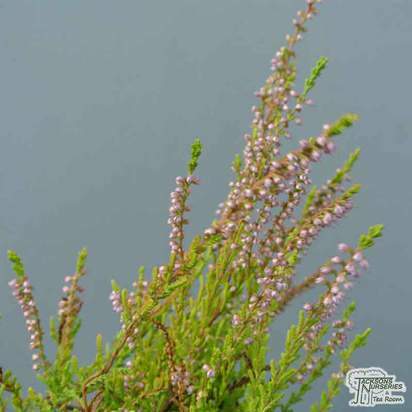 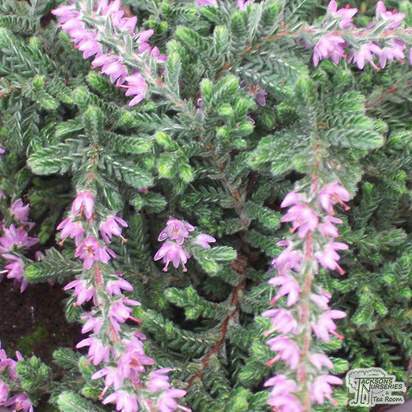 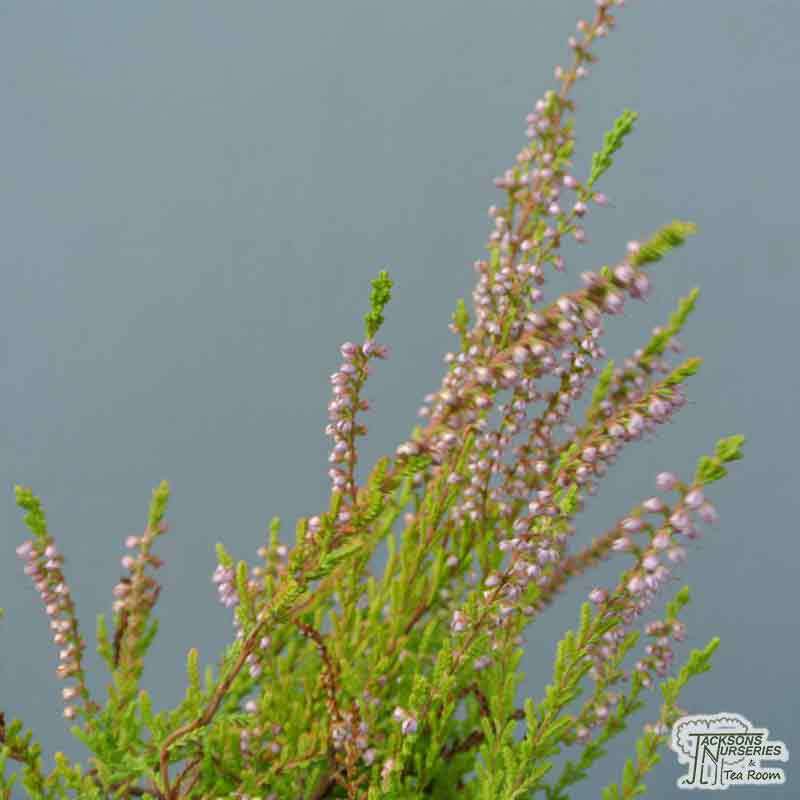 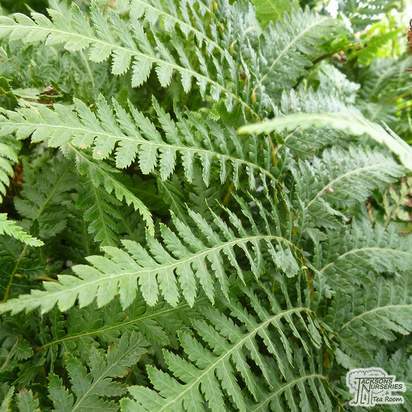 It has a compact, densely-branched, mat-forming growth habit, making it great for using in mass plantings, along walkways, in troughs and patio containers that have good drainage or just to naturalise a particular area of the garden. 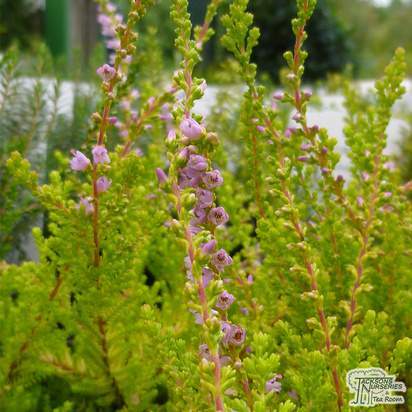 We'd also recommend it for elevated positions within alpine rock gardens or on banks where the soil is well-drained. 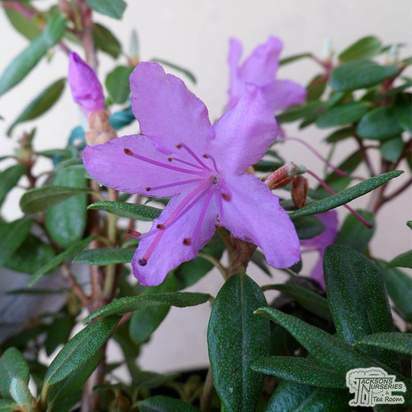 As it prefers rocky, unimproved soils do not be tempted to over-fertilise.